Most cancer will cause weight gain symptom because the cancer eat up your energy. However, some cancer could cause weight gain in rare cases. Thus, people are wondering which cancers cause weight gain. This is something to be concerned because cancer is big problem and weight gain could add the problem. 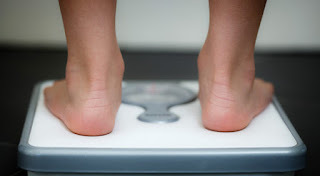 It is not only that weight gain is bad for your physical appearance, but also weight gain could lead to obesity that increase risk to serious medical conditions. If you already have cancer and you get another disease, the complication would be so much devastating. Although rare, some cancers are indeed causing weight gain. The most common cancer that causes weight gain is ovarian cancer. When women have ovarian cancer, the mass of the tumor, which already grow big will cause weight gain. The weight gain may also cause by constipation that commonly occur in ovarian cancer and build of fluid in the abdomen as the cancer grows. There are other answers to which cancers cause weight gain. Besides ovarian cancer, carcinoid cancer and pituitary tumors may cause weight gain. If you experience unexplained weight gain, visit your doctor. In different cases, ‘which cancers cause weight gain’ may not the correct question. In such cases, the cause of weight gain is not the cancer but the treatment. Cancer treatment using hormones or steroids may cause weight gain. Drugs use during cancer treatment may cause fluid retention and lower body metabolism. As the result, patient will experience weight gain. In the case of the body retain extra fluid in the cells and tissue; the weight gain would be different. The body will feel bloated and when you push your body with your finger, the pit may not go back or very slowly return to normal. Cancer treatment may also change patient daily habit that could lead to weight gain. The example is food craving during chemotherapy due to anxiety or controlling nausea. When you eat more, it is possible to gain weight. The other possible cause is less energy that lead to lower activity level that mean low fat burning. Therefore, which cancers cause weight gain may not correct because it could happen to patient with any type of cancer.